While the stars appear unchanging when you take a quick look at the night sky, there is so much variability out there that astronomers will be busy forever. One prominent example is Eta Carinae, a star system that erupted in the 19th century for about 20 years, becoming one of the brightest stars you could see in the night sky. It’s so volatile that it’s a high candidate for a supernova. The two stars came again to their closest approach this month, under the watchful eye of the Chandra X-Ray Observatory. 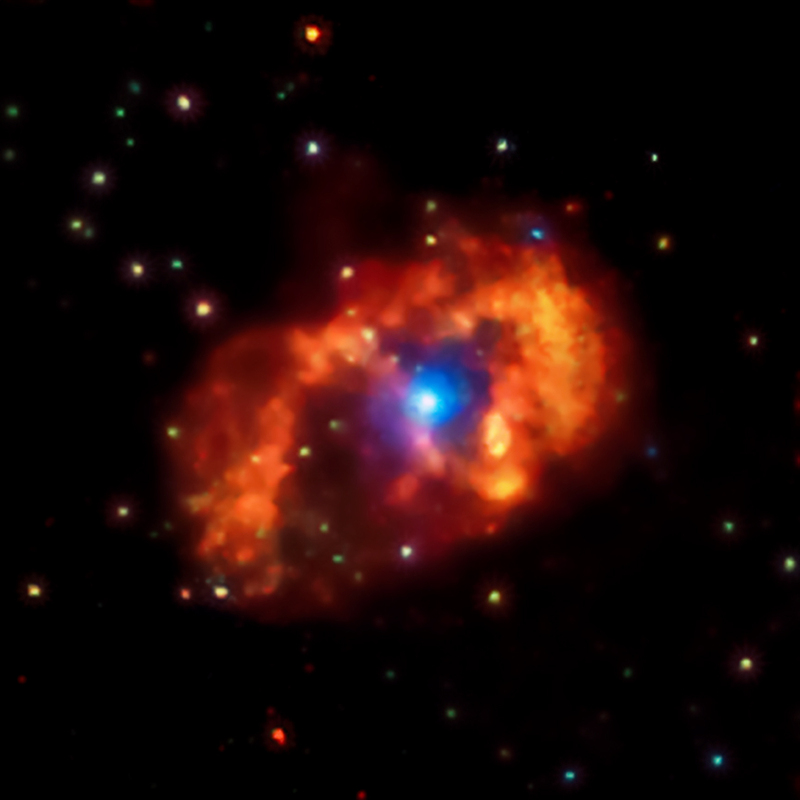 The observations are to figure out a puzzling dip in X-ray emissions from Eta Carinae that happen during every close encounter, including one observed in 2009. The two stars orbit in a 5.5-year orbit, and even the lesser of them is massive — about 30 times the mass of the Sun. Winds are flowing rapidly from both of the stars, crashing into each other and creating a bow shock that makes the gas between the stars hotter. This is where the X-rays come from. Here’s where things get interesting: as the stars orbit around each other, their distance changes by a factor of 20. This means that the wind crashes differently depending on how close the stars are to each other. Surprisingly, the X-rays drop off when the stars are at their closest approach, which was studied closely by Chandra when that last occurred in 2009. “The study suggests that part of the reason for the dip at periastron is that X-rays from the apex are blocked by the dense wind from the more massive star in Eta Carinae, or perhaps by the surface of the star itself,” a Chandra press release stated. More observations are needed, so researchers are eagerly looking forward to finding out what Chandra dug up in the latest observations. A research paper on this was published earlier this year in the Astrophysical Journal, which you can also read in preprint version on Arxiv. The work was led by Kenji Hamaguchi, who is with NASA’s Goddard Space Flight Center in Maryland.